Chronic fatigue causes you to feel unusually tired and sluggish, but it also triggers other symptoms as well. You may have difficulty thinking clearly, concentrating, and remembering facts and events. Your exhaustion may also be paired with intense headaches, joint and muscle pain, and other physical problems. Anemia, leukemia, and other blood-related health issues are known to cause fatigue. A CBC blood test can be used to test the concentration of your white blood cells, red blood cells, and platelets in order to diagnose any blood disorder. A chemistry panel can also be used to test the levels of electrolytes in your body, including sodium and potassium. If you are low on electrolytes, the test will also indicate irregular liver and kidney function. These problems can cause chronic fatigue. 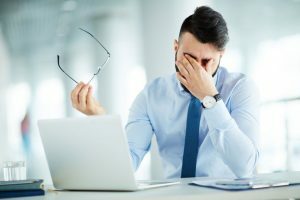 Lyme disease and mononucleosis are two other conditions for local business specials that could be the cause of your ongoing fatigue. A lyme disease test detects the antibodies produced by the immune system in response to the lyme infection, while a mononucleosis test confirms the presence of the Epstein-Barr viral antigen. Whatever the results of your blood test show, they will help you move in the right direction to treat your condition. Your doctor can help you interpret your blood test and recommend the best course of treatment available.